Not All Translators Are The Same; Choosing The Translator That's Right for You - Niki's Int'l Ltd. If you’re in need of professional translation services, it’s best to be paired with a translator who is most fitting for your specific needs. 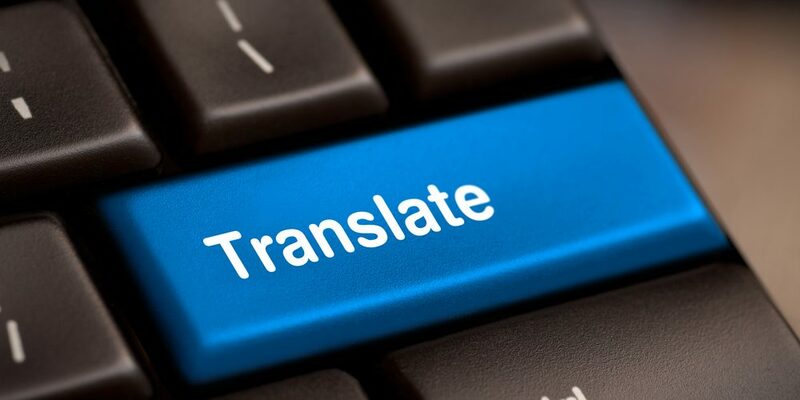 Translation is the process of converting content from the source language into the target language, in an understandable way without changing the context or subject of the item being discussed. The vital language service is a strenuous task and takes a professionally trained and highly skilled individual to successfully complete. When beginning a translation project it’s imperative the right translator is hired and paired with your project in order to ensure an accurate and insightful translation. There are various types of translators available through professional language service companies (LSC), such as Niki’s Int’l Ltd., who specializes in providing optimal translation services spanning across numerous industries. There work is guaranteed with a $1 Million Errors & Omissions policy, so you can be confident your translation project will be completed with the highest level of quality, accuracy and professionalism within the language service industry. To begin the process of translation the project is evaluated to develop a budget, delivery timeline and to decide which type of translator will best fit your project needs. The following is a breakdown of the various types of translators available and how each type of translator when paired with the appropriate project can ensure the project is completed with success. Literary translation is the actual translation of various types of literary works. Books, songs, religions text, short stories, novels and poems all fall under the types of projects in which literary translators work on. Literal word for word translation most of the time just doesn’t exist, this means that literary transistors have to not only ensure the messages are understood appropriately but oftentimes have to creatively incorporate additions of their own. Literary translators have honed in on specialized skills that allow them to translate any work of art at a high level of efficiency, accuracy and creativity. Translation doesn’t seem like rocket science until it actually is. Subject matter experts are translators who are fully trained and extremely knowledgeable on a particular subject. They oftentimes work on technical translation projects because they have previous experiences and education regarding the subject matter. Projects regarding physics should enlist the aid of a translator who is a subject matter expert regarding the subject of physics. The translator should have a similar educational and professional background as the target audience in order to produce a translation that is up to par within field requirements. An immense amount of education, experience and knowledge is needed to successfully and accurately translate medical content. Medical translators have mastered advanced terminology, have a strong grasp of procedures and practices and a thorough understanding of both languages spoken and their respective cultures. Medical translators extend understanding to patients who speak a different language, allowing them to read and comprehend information such as medical consent forms, intake and informational forms, documents explaining surgical procedures, medication instructions as well as pre-op/post-op guidelines. Medical translators must be precise, and can not in any way deviate from the original meaning. Poor translation can result in detrimental outcomes, additional injury, malpractice and even death. This is why it’s mandatory to use medical translators whenever there is any medical document in need of translation. Legal documentation such as financial records, licenses, contracts or perhaps adoption papers are confusing and the terminology is overly difficult to comprehend. Legal translators specialize in the legal field and use the utmost accuracy and precision when translating documents as to ensure clients can understand the information at hand. Legal documents are highly regarded and a minor error can misconstrue a point or invalidate an argument. Poor legal translation can cause a court case to be lost or thrown out, deny a restraining order that’s needed, falsely accuse an individual or even prevent an immigrant from entering a new county in search of safety. If ever there is a legal document in need of translation, it’s best to enlist the aid of professional legal translators as to ensure the project is completed accurately and with the highest regard for the law.